Over the years, there have been people who choose to marry one of their cousins. The acceptability of this idea depended upon the opinions of society at the time. There are potential advantages, and disadvantages, that can happen when cousins marry. For centuries, in royal families, it was common for marriages to be made between people who were related to each other. Cousins would marry cousins. This was done for the purpose of securing political alliances, strengthening the lines of succession, and to ensure the noble purity of the bloodline. A person in a royal family could only marry another royal person. Over time, the chance of two married royal people producing a child who had an intellectual of physical disability increased. Maximilian I, a Holy Roman Emperor who ruled from 1486 to 1519, had what is now called the Habsburg Jaw (a pronounced underbite). Charles II, the last Spanish Habsburg, was “feeble-minded and physically deformed” due to the genetics he inherited. Hemophilia was once called “Royal disease”. It is a blood clotting disorder that is caused by a mutation. Queen Victoria and many of her descendants carried this mutation. The mutation is recessive and most commonly exhibited in males, who can pass it on to future generations. In the days before the automobile was invented, families tended to stay in the same area for generations. Men who wanted to find a wife typically went courting no farther than they could walk out and back on their day off from work. 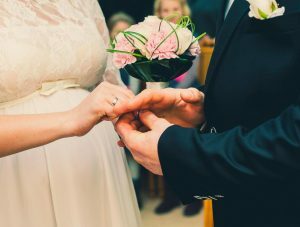 According to Robin Fox, a professor of anthropology at Rutgers University, it is likely that 80 percent of all marriages in history have been between second cousins or closer. Albert Rothschild, at the age of 37, married Bettina Rothschild (who was 18-years-old). They were cousins. They produced seven children, and six lived to adulthood. The Rothschild family had been inbreeding almost as extensively as European royalty, but did not pass genetically inherited diseases to their offspring. Those types of mutated genes simply didn’t run in the family. Mayer Amschel Rothschild, founder of the banking family, prohibited female descendants from any direct inheritance. Without an inheritance, female Rothschilds had few potential marriage partners of the same religion and suitable economic and social stature. Four of Mayer’s granddaughters married grandsons. One married her uncle. This arrangement kept the wealth in the family.